This will take the place of many products you are already using. Save space, time, and a lot of money. Now with probiotics and Iodine. MICRO PLANT POWDER has a strong negative charge to attract positive toxins from the blood lungs stomach and colon to absorb, hold and remove, bacteria, fungi, protozoa, viruses, worms, vaccination residue, parasites, endotoxins, pesticides and drug residues, E-Coli, and heavy metals, molds, mycotoxins and many others unhealthy toxins.. This product comes in a 2.5 pound specially sealed BPA FREE container for your protection. Also our lids are shrink wrapped for added safety and protection. We ship this product safely all over the world with many happy customers. If you want to change your life and enjoy a full body detox that really works!!! Please try any of our Micro Plant Powder formulations to see the difference in your life. Remember cancer cannot grow in an alkaline environment. By taking it regularly you will not only be detoxing the entire body but feeding the body many of the nutrients it needs. Micro Plant Powder with probiotics and Iodine that may keep sickness and radiation fallout away and may protect your organs while the Probiotics allow for great digestion and a balanced stomach flora. Taken Daily you will notice something different about the way you feel. 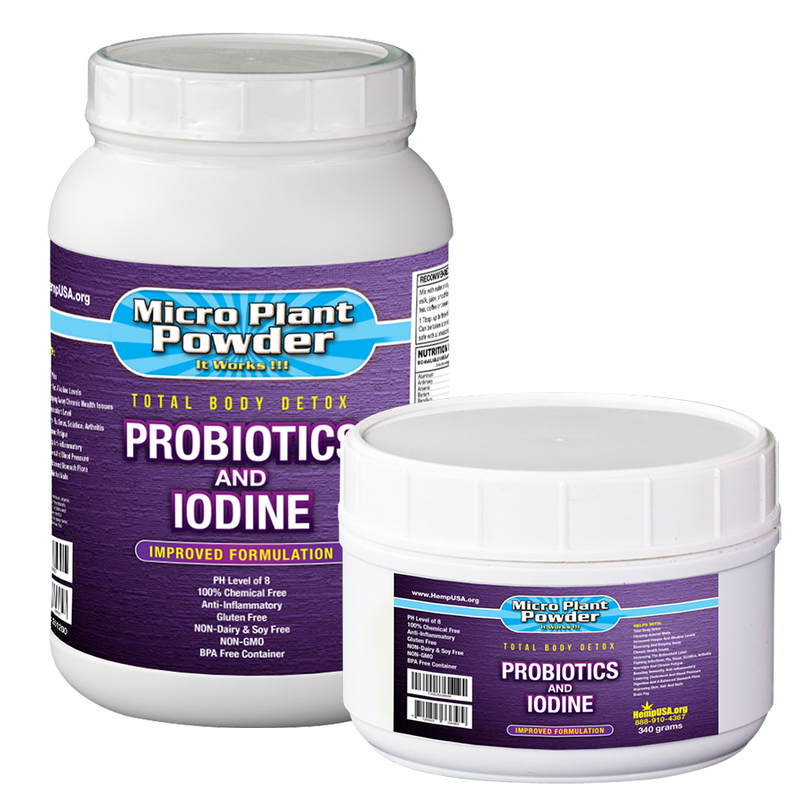 Give it some time to work and keep your body clean and nourished with Micro Plant Powder ™. All of these activities result in a much healthier body with less sickness. We often hear the phrase “I just feel better” with MICRO PLANT POWDER This better feeling means less brain fog, better skin, hair and nails and by giving your immune system the “jump start” it needs with great nutrition. Please tell your friends and relatives and help them change their life too. One gram of MICRO PLANT POWDER™ has a surface area of over 8,600 square feet of pure absorption surface with a strong negative charge which increases the absorption of toxins. It simply vacuums the body of garbage that is not needed or wanted. MICRO PLANT POWDER™ has a PH level of 8 making it an alkaline food source which is great for the body by keeping all systems clear and balanced for better health. 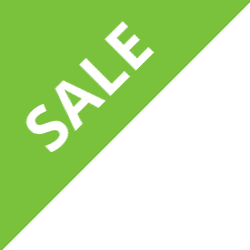 Great product have recommend this to my family and friend will purchase again. I purchased the product for my mother as recommended by an old customer of you. She’s already starting to feel improvements on her overall health and strength. I was very impressed how fast you delivered the order. I have plans on buying more products from you for myself. 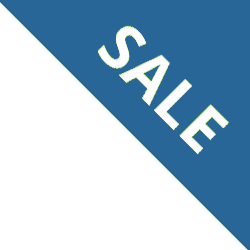 I had expend several hours browsing your website reading and learning about your products and I like them. Thank you. I purchased this product for my mother who constantly had stomach issues. A fellow friend f hers recommended that she try the plant powder. Since using this product, it has helped to relieve the uncomfortableness she had been feeling. The different size options are great and I highly recommend for those having digestive issues. The Probiotic Iodine Hemp powder is great! I’m feeling extra energy and I wake up on my own around 8 in the morning whereas I used to sleep to 10 am or so and still be tired. I’m excited to get up and start my day! Love this companies products! I’ve had great success with the thyroid iodine powder and I can’t wait to see how well this Iodine/Probiotic powder works. Definitely get a good amount of powder for the price you pay. Thanks HempUSA! Ive used this product for several years and attribute it for my being much more healthier than before. Furthermore, I rarely get sick. I highly recommend trying it out. I put it in my morning smoothies. This supplement is amazing! I have so much more energy and mental focus while taking it, also great digestive improvement, and more regular night time rest, as I’m not fatigued during the day and don’t crash at odd times! Thanks for the game changer! Regular user of the Micro plant powder gold, adult, and basic formulas with amazing results. I recommend this to anyone seeking to resolve stomach problems. I love this product. I noticed the energy within days! A must try!! 5 stars. I love the product because I feel I look younger, and more vibrant. I have energy and renewed vitality. I’ve been using this product for years and I’ve never come across a supplement that has such a broad spectrum of benefits. A MUST TRY! Very good product. was told about it few months ago. Great results with nails, hair, skin. Great product for nails and hair growth will continue to use it. More energy. More clarity of thought. General feeling of well being and a feeling of inner cleanliness of our stomach and intestinal area. That’s what my wife and I continue to experience from Micro Plant Powder. We have promised each other that if even if we have no other supplements, we will always have a supply of Micro Plant Powder to take. I have been using this formula the most of your MPP because it is the basic one but has the added iodine and probiotics that we all need. I have added it to purified water and stirred and added ice and it is a pleasant drink, but it is also nice in that you can add it to a green smoothie or a fruit smoothie and get the benefits without noticing the consistency. Then, later you notice that you feel great and go to the bathroom more regularly! Thanks HempUSA for just one basic product, of many that are so special! This product is amazing, I feel so much better. I use it everyday & my family also takes it. Respiratory, digestion, inflammation, & blood pressure issues taken care of all at once. I highly recommend this product to anyone whether you are sick or not. I love this product! My daughter got me started on it about a year and a half ago and I feel so much better all around. I will never be without it. It’s helped my cholesterol, nails, hair, skin and the fact that it’s alkaline is a bonus! It has also made a difference with my digestion. I love that it contains probiotics and iodine. This has helped me so much! 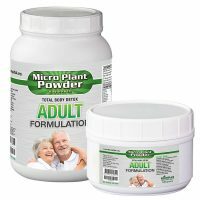 I’ve been using “Micro Plant Powder” for 10 years now and I get comments from women who think that I’m 10 years younger than my real age. My skin is younger looking, my hair is strong and full and my nails are as hard as….well nails! Just like my good friend recommended this product to me, if you reading this I highly recommend it to you and yes…. HEMPUSA is the best place for you and has never let me down! Quality & Trustworthiness goes a long way….well a decade in my case! I absolutely LOVE this product. I’ve been using it quite a while now and have had amazing results. My hair and nails grow so fast and my skin has cleared up from breakouts. The pain in my neck from osteoarthritis is gone! And I love that this formula has the probiotics which helps my digestion and the iodine helps my thyroid. I couldn’t be happier with it and tell all my friends and family about it and they’ve al had great results too! I also notice increased energy levels. I also love how easy it is to mix with anything. Thank You for such a wonderful product! Every time I buy this Micro Plant Powder, I feel a jump in my energy levels. I wake up without using an alarm. Also I travel around all day on my job usually on trains and I find that when I regularly take this Micro Plant Powder, I can go all day without feeling tired. I also feel that this Micro Plant Powder makes my breathing clearer. And it keeps my body cleaned out. I like to say it ‘keeps my pipes clear.” I will continue to buy this product and I amm looking forward to buying the other formulations. This product is so far so good, my husband notices an improvement in the way he feels which is a plus. I’m sure we will notice more results in weeks to come since hemp usa products are great. Will definitely be back again and again. I use this to stop G.E.R.D. and to prevent bouts of constipation. Makes everything easy going! Works way better than the stuff that I got from A Doctor that I am no longer taking! And it’s good for You! I have been using this for more than 3 years. I lost 20 pounds in a month in half since going on a strict low low sugar/carb diet in conjuction with taking this micro plant powder and hemp seed oil and hemp protein daily. Love the look of my skin and hair plus my overall health. No more signs of folliculitis skin disease either i routinely had been stricken with prior to taking micro plant powder. Love the products! Keep producing them hempusa! Oh wow here we go!! I got this just a couple weeks ago and i tell you, this stuff is amazing, i went through a detox using it and i came out the other side a new man, i haven’t felt this good since i was in my “early teens” yes thats how much junk i had in my body, i can’t imagine not getting this looking back now, if i didn’t i don’t wanna know where my body (and mind) would have ended up, i think this may have even saved the quality of my future and present life by ridding me of the toxins that it has, i feel so much better and it keeps getting better! This was one of the best things i ever bought, if anyone not sure about taking this or not, take my advice, GET IT because it will only work out for you! I can really see a difference in the growth of my hair and nails since using the MicroPlant Powder. I love how it tastes, and just eat it with a spoon. The MicroPlant Powder has done wonders for me! I no longer need my reading glasses! I noticed after taking only a tsp a day for about 8 months, I did not need my reading glasses to see the tiny print in the phone book. I also no longer have a painful knot in my arm that I thought would require surgery NOR has the occasional rectal bleeding issues, I have dealt with for the past 50 years, recurred at all in over two years. My wife and I are so excited about the new MicroPlant Powders and are gonna try the Gold, Iodine Now, and the Ultimate Protection. Thank you! I had to know what changed in my friend of 28 years’ life, she had completely turned around. She was about to give up, in so much pain from fibromyalgia and digestive issues. She told me she started taking this product,the hemp protein and the hemp oil. I have only been on it a couple of weeks but I’m feeling more energy already! Thank you! facial. Of course, I passed it on to my daughter immediately. making a paste and applying all over her face for about 15 mins. By the afternoon– her face was starting to heal and clear up. have believed it but I have seen it’s amazing results. I am out walking every day, stomach issues greatly improved, bone, muscle, and joint pain improved….AND….was even able to plant a little flower bed last week!! LOVE LOVE LOVE these products and know I will continue to improve….now that I am taking religiously EVERY day. Just had another friend to place an order for the MicroPlant Powder, Hemp Protein Powder, and Hemp Oil. People are ordering because they can physically see a big difference in me. Isn’t that just WONDERFUL!!! Love you Hemp USA, and I LOVE YOUR PRODUCTS. They are THE BOMB! I can already see my nails and hair getting stronger. I can’t wait to see how the rest of takes shape! I have used micro plant powder previously and it did wonders. I called and asked for Hemp USA to please bring it back to help others have healthier and happier lives. I am so excited o see it return especial since I just had another health scare that leads me right back to the micro plant powder and now I am trying the iodine plant powder. I know I will be back to better health in the next few months. Thanks Hemp USA for listening to your customers! I have been using this product for four years or more. Excellent product that I would not go without!!! Thank you HempUSA! The Micro Plant Powder helps with my energy levels and digestive issues. Thank you! Micro Plant Powder is an incredible product that has changed my life, and improved my health in so many ways. I had heart palpitations, chronic fatigue, stiff joints, and other issues that have just slipped away since adding this powder to my diet. I had tried other detox formulas, and magic elixirs over the years but I always had side effects, and other issues causing me to quit the programs, or saw no real changes what so ever. Micro Plant Powder really seems to work subtly with my body, and there are no side effects (unless you count feeling better, and better as a side effect). I could feel something almost immediately within the first days, but I noticed a huge difference within the first month or two of use. Now it’s been over 2 years for me, and I’m still experiencing more benefits. I also wanted to mention that within the past year I have added in some of the other powder formulas to mix, and match as I can’t get enough of what these products can do for health, and well being. Thank you for this cutting edge superior quality product. I’d recommend it to everyone. In fact everything I’ve tried from Hemp USA had been great. In a world of hype,and broken promises it’s nice to have a trusted source for quality products that are “the real deal” for results. Thanks Hemp USA! !